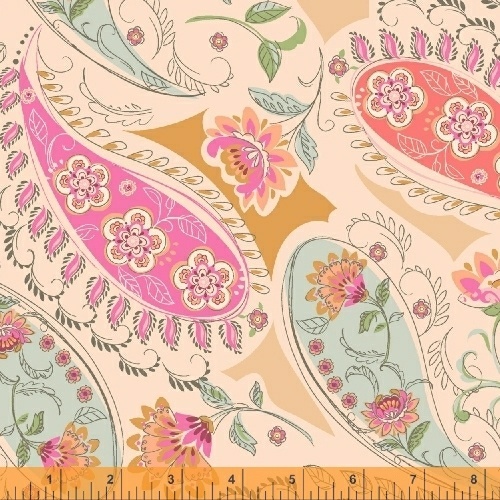 Blythe was inspired by classic design elements including paisleys and floral vines, but with a very modern color palette. The range of sage greens and soft neutrals set against pops of bright coral, saffron and pink is perfect for timeless quilts and feminine, carefree apparel. On Sale: January 2019. Ships: April 2019. 19 skus.